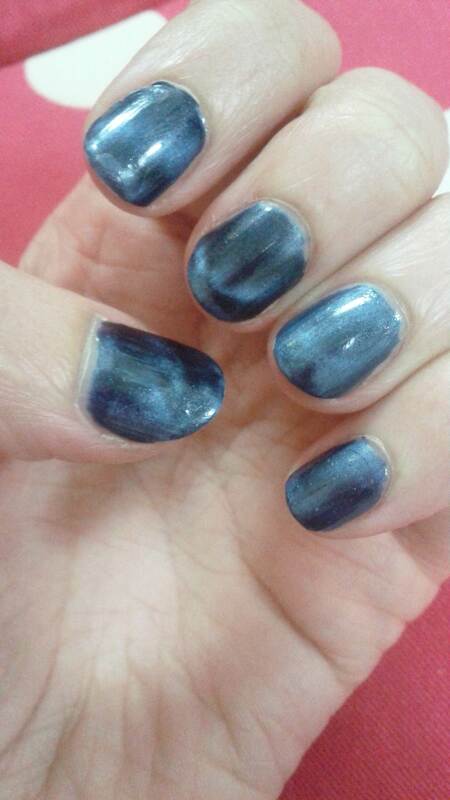 “Ooh, they look like the galaxy!” exclaimed a friend at a wedding party dinner recently. “Your nails are so cool and awesome Ms. H!” squealed my students. 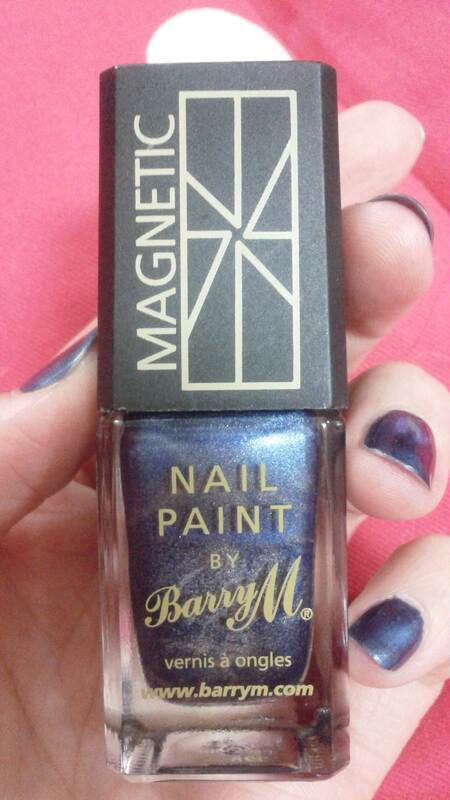 These are all reactions I’ve had to Barry M’s Magnetic Blue nail varnish. A couple of seasons ago in the UK, magnetic nail varnish was all the rage, but it hasn’t reached Japanese shores yet as far as I’m aware. Everyone’s minds are always blown when I explain how it works – rather like mine was when I tried this baby out for the first time! It’s a gorgeous, classy colour, and I certainly have nothing else like it in my polish collection. The magnet on this one creates an unpredictable, swirly pattern that ends up looking different on each nail, and I like that. That’s why I chose it. After using a clear base, it’s pretty much opaque in one coat, which I adore! It can seem a little like you’re faffing about as you do have to do one nail at a time, otherwise the magnetic particles set and won’t move around like they’re supposed to, but I’m more than happy to sacrifice that for full, one-coat opacity. One problem (the only one) I’ve had, and it’s really all my fault entirely, is that I sometimes mess up and let the magnet touch the wet nail, which results in a smudge and quite a lot of upset on my part, but hey, there are greater problems in the world. I just need more practice, clearly! I’ve loved the result every time I’ve used it, and I’ve definitely had the most vocal reactions from other people when using this colour. 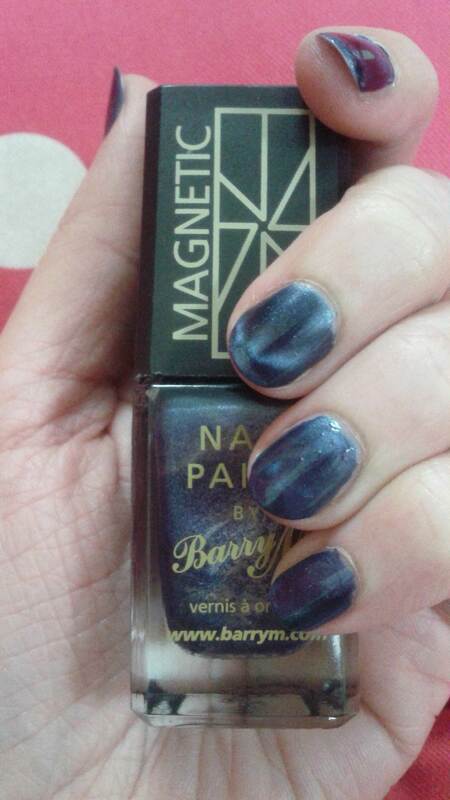 Barry M is such an affordable yet good quality brand, and I’ve yet to be disappointed by any of the varnishes I’ve bought from them – this nail paint is no exception, and I would recommend it if you would like to foray into magnetic nail territory, but don’t want to break the bank. 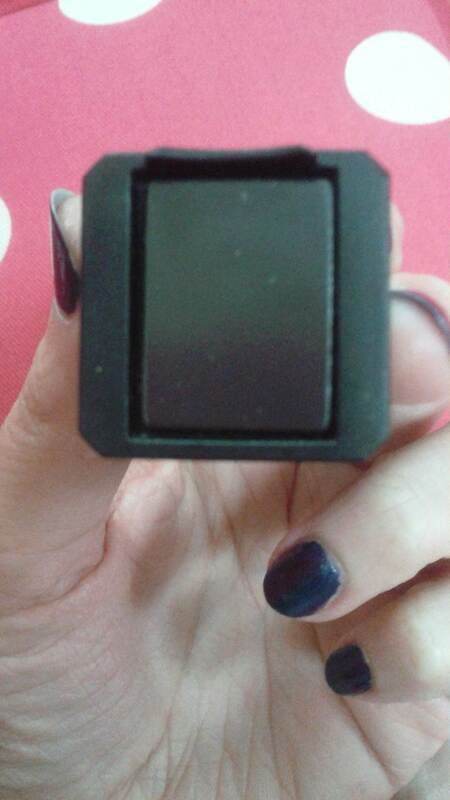 I think technology in cosmetics is simply mind blowing these days. Who knows what they’ll come up with next? 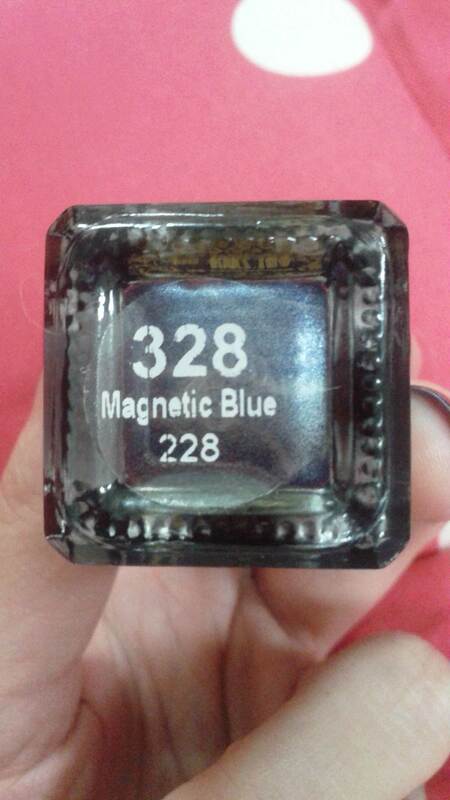 How do you feel about magnetic nail varnishes? I’d love to hear in the comments below! In other news, I’ve finally caught up with all of the episodes of Pretty Little Liars, and can’t wait for the second half of season four to start airing on January 7th, 2014! I’m still obsessed! Hope you’re all having a lovely weekend so far, and enjoy the photos below – please pretend, for my sake, that the nail varnish application is nicer than it is. Maybe I’m just doomed forevermore to be bad at it. Love it! 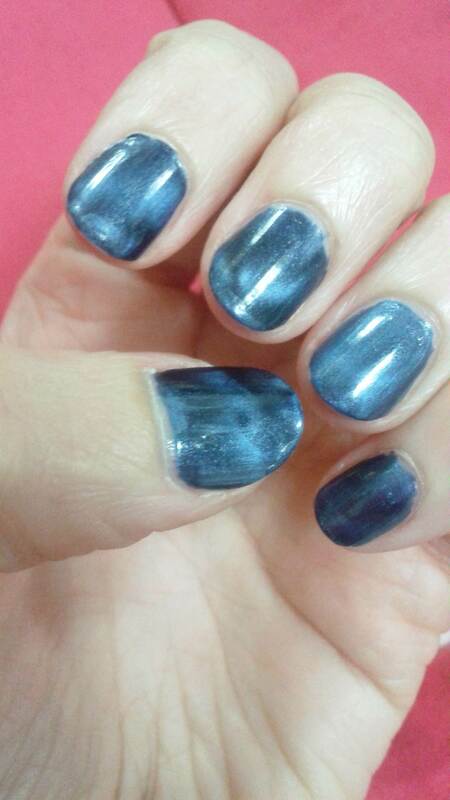 And yes, it’s perfect galaxies – one on each of your nails. Not surprised that everyone loved this mani. I have 3 magnetic polishes (all from W7) and now I really do want to give them a try. Thank you for your oh so sweet comment 🙂 I can’t wait to see photos of your magnetic manis! Oh wow, so you actually move a magnet around over your nails and it pulls little colored particles into different patterns? Very cool, I’ll have to check it out! The only polish I have after my international move two years ago is some rapidly aging Zoya polish, which is great but just about to expire. Time to stock up and get some new colors. That is really cool might go stock up on some myself! I think this is a really new thing (yep mind blowing) I’m glad it’s affordable but I wonder if it’s in Japan or maybe I’ll look online. 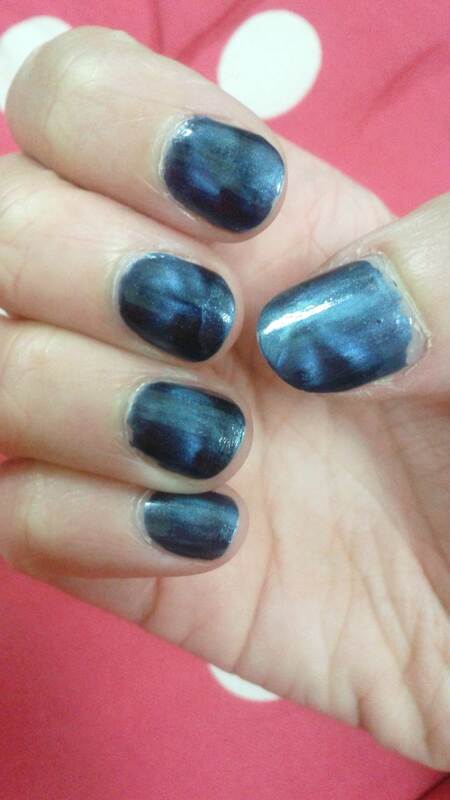 Thanks for sharing this awesomeness, your nails look very pretty!! No wonder everybody loved it!